By Lindsay Trinkle on January 14, 2016 . Filed Under: Branding, Business. 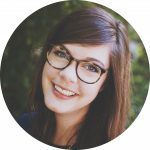 Our newest content series focuses on Small Business Growth Strategies, penned by Brookline Creative’s Business Development Director, Lindsay Trinkle. Your brand is my experience of your company. Your brand isn’t just your logo, your website, or your marketing copy – although each are crucial elements. My experience of your company might change every time I interact with you, which is why a clear, foundational understanding of your brand is paramount. Your brand identity: the visual assets associated with your brand – your logo, your brand colors, fonts, etc. Your brand personality: the human element to your brand – the part of your brand that consumers can relate to on an emotional level. Your brand voice: the way that you communicate your brand personality to your audience. Brand personality and brand voice, like your own personality and voice, are inextricably linked. The following steps will help you start to clarify them. 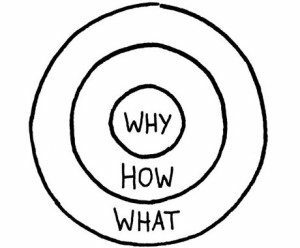 A great place to start to determining your brand personality and voice is Simon Sinek’s ‘Start With Why’ principle. He explains that most companies start by first spelling out WHAT their product is, followed by HOW it works, and then WHY you should buy it… if they ever even get to that last part. He calls this the Golden Circle. “With everything we do, we aim to challenge the status quo. We aim to think differently (WHY). Our products are user-friendly, beautifully designed, and easy to use (HOW). We just happen to make great computers (WHAT). Starting with the WHY leads the prospective buyer on a dramatically different journey than starting with the WHAT. Business owners that master this strategy will build a brand that resonates with customers in a much deeper and more powerful way than those who take the traditional approach. People want to do business with people who believe the things they believe — and starting with the WHY can help you communicate shared belief beyond product features and benefits. The Golden Circle builds a connection on an emotional level, creating a powerful, influential brand that makes your company much more memorable. So before you attempt to define your brand personality and brand voice, start with WHY. Why does your company exist, on a deep, emotional level? What do you believe so strongly that it inspired you to do one of the hardest things you could do – start a business? Your brand personality refers to the human traits that your brand embodies so that people can connect and relate to your company on a personal level. There are many theories on how to define and develop a brand personality. We’re going to hit the highlights. One of the most popular exercises in discovering your brand personality is the car analogy. Ask yourself – if your brand was a car, what kind of car would it be? Would it be a luxury car? An SUV? A sedan, electric, or minivan? The type of car you choose will give you some great insight into the type of brand personality you have – elegant and refined, risky and exciting, or conservative and practical. Another approach is to associate your brand with one of the 12 brand archetypes. 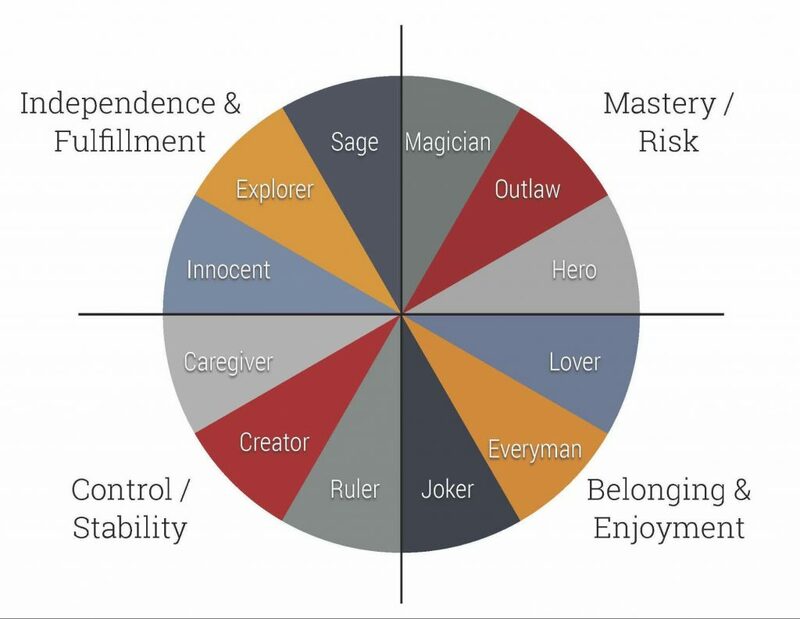 Psychologist Carl Jung originally defined these brand archetypes and more recently, Carol Pearson and Margaret Mark (in their book The Hero and the Outlaw) described how they can be used for branding. These archetypes carry deep psychological meaning, and it can be very beneficial for brands to associate themselves with them to better engage the consumer perspective. Take a look at the archetype wheel and see which one makes the most sense for your brand. At this point you have your WHY and a basic idea of your brand personality. Perhaps the most helpful thing you can do to now communicate your brand personality is to consider WHO you’re talking to. Your personality dictates who is talking, but your customer makes up the other half of that conversation. The best way to discover who your audience is is to imagine your ideal customer. Picture him or her in your mind. What do they look like? How old are they? Did they go to college? What is their profession? What kind of car do they drive? Do they own a home? Give your customer a name. Once you’ve got the image of your customer in your mind, ask yourself – what does this person need? There’s one rule to this exercise – the answer cannot be your product or service. The goal here is to get to the root of your ideal customer’s felt need, the real reason you can speak to them compellingly. Find the common ground beyond the features and benefits that you can provide through your company. Once you’ve done that, you’ll finally start to tap into your brand voice. High-five for making it all the way through these exercises. Branding – much like building a business – is a lot of work. But now that you have these foundational elements of your brand personality and brand voice in place, there is only one thing left to do – go tell your story!